Former clinic abortionist: James Gilbert Mason Weyand Nurse abortionist Mary Stark, along with PP of the Great Northwest & the Hawaiian Islands, are suing the State of Idaho, because Mary Stark wants to do abortions in Idaho, in addition to the abortions she performs in Washington and Oregon. See document below. This location is headquarters for "Planned Parenthood of the Great Northwest and Hawaiian Islands," and "Planned Parenthood Public Policy Network of the Northwest and Hawaii." See documents below. PP of Indiana and Kentucky plans to merge with PP of the Pacific Northwest and Hawaii. See documents below. 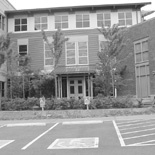 Parent organization address in Seattle is at the Seattle Health Center Planned Parenthood abortion clinic. Breach of confidentiality complaint for PP of the Great Northwest lab site. Tax form from 2016 for PP of the Great Northwest and the Hawaiian Islands. Headquarters address is at the Seattle Health Center Planned Parenthood abortion clinic. Abortion lawsuit. Nurse abortionist Mary Stark, along with Planned Parenthood of the Great Northwest & the Hawaiian Islands, sue the State of Idaho. Stark performs surgical and/or medical abortions in Washington and Oregon, and she wants to do abortions in Idaho as well. See pages 2 & 5. 2015 pregnancy termination statistics from the State of Alaska. PP of Alaska is located in Seattle, WA. It is also known as "Planned Parenthood of the Great Northwest." Planned Parenthood of the Great Northwest and Hawaiian Islands sues the state of Alaska over abortion regulations. Answer to lawsuit challenging Alaska abortion regulations. Lawsuit was filed by PP of the Great Northwest and the Hawaiian Islands against the state of Alaska. Laurel Kuehl is medical director, and Kara Cadwallader is senior medical director. See page 8. Arizona registration for new Planned Parenthood corporation in Oro Valley, AZ. See page 2. Article on PP merger. Includes photos; some text obscured. Planned Parenthood of Indiana and Kentucky is merging with PP of the Pacific Northwest and Hawaii. Article on PP merger - text only. Planned Parenthood of Indiana and Kentucky is merging with PP of the Pacific Northwest and Hawaii.